Play Everywhere Challenge: Dallas | KaBOOM! 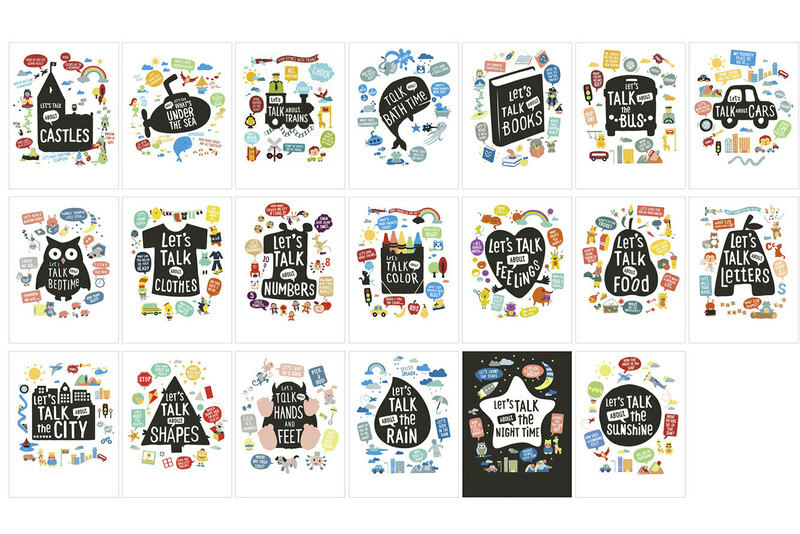 Learn about the ten projects chosen for their innovative ideas to make the Dallas area more playful. 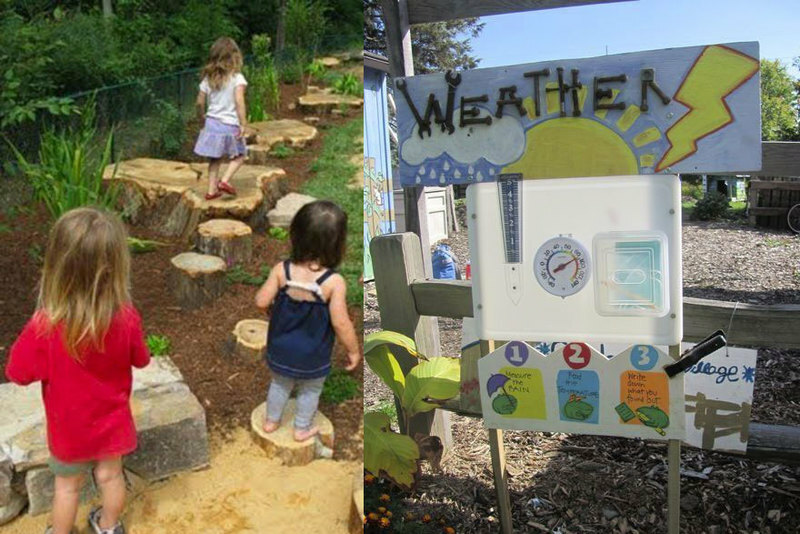 buildingcommunityWORKSHOP is a non-profit community design center that works to improve the livability and viability of communities through thoughtful design installations. In partnership with the 10th street neighborhood, they will transform an underused park into "An Oasis for Play in the Tenth Street Historic District." The installation will feature sidewalk games and paintings, small scale play structures, seating, landscaping and lighting to create a positive play experience for the kids and families – serving roughly 312 kids each year. Behind Every Door Ministries – Village Oaks provides after-school programs, tutoring, arts programming and character development programs to underserved apartment communities. In partnership with AMG Realty Group, which operates Village Oaks apartments, they will develop "'That’s Trash Bro' Community Clean Up Initiative." 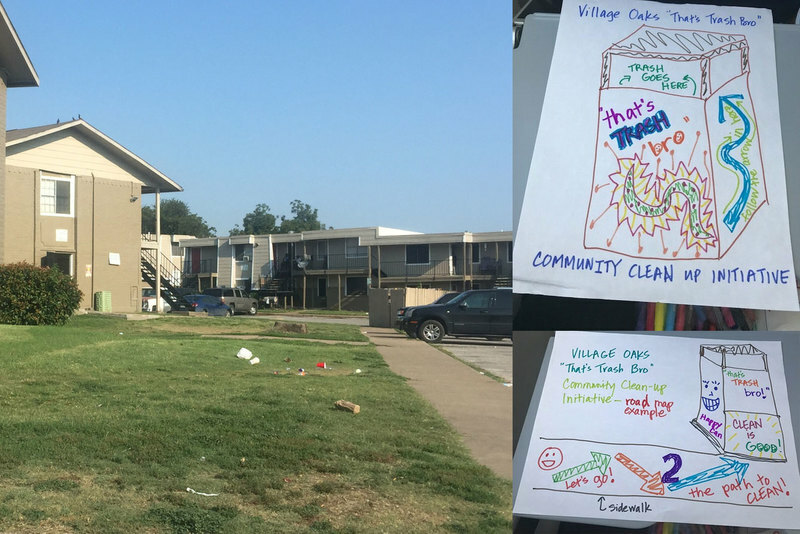 This clean-up initiative will allow students involved in the after school program to design trash cans and sidewalk art to be installed throughout the apartment community. The project will serve roughly 750 kids each year living in the complex. The Texas Trees Foundation works to preserve, beautify and expand parks, other public natural green spaces, public streets, boulevards and rights-of-way. 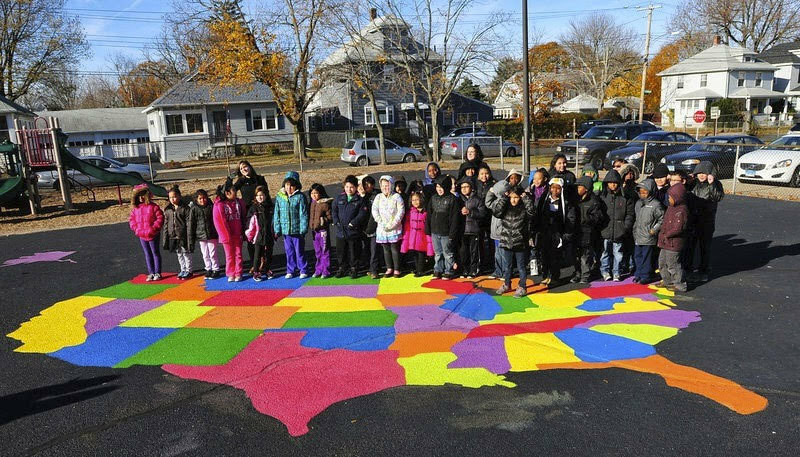 Through their project, "Cool Schools Play Corridors," they will create safe, playful and interactive walking routes for kids and families that connect neighborhoods to schools. The walkways will include nature based wayfinding signs, observation and learning stations and natural play elements like cookie tree stepping stones and will serve at least 4,000 kids per year. 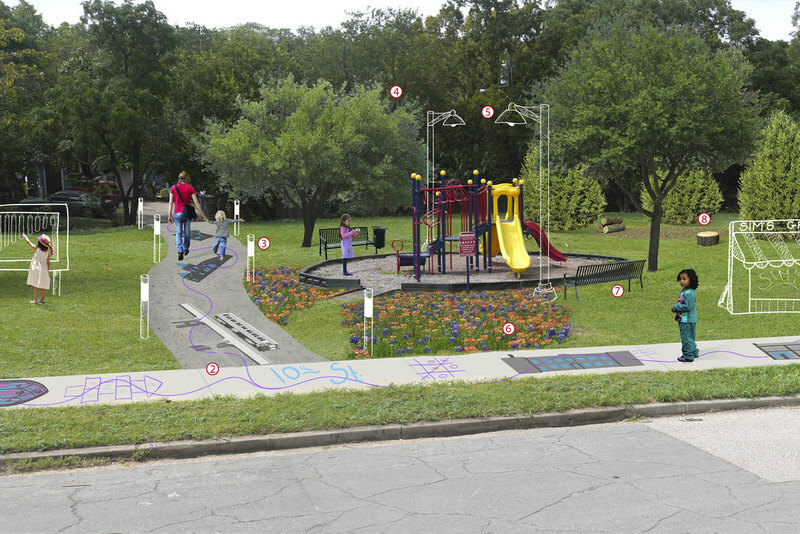 In partnership with Elm-Thicket Northpark Neighborhood Association, the City of Dallas seeks to transform the surrounding area of the KB Polk Recreation Center into the "KB Polk Playscape," a series of interactive sidewalks that provide play opportunities for kids who attend the community center and surrounding neighborhood. The city will work with the local school, recreation center and surrounding community to select final designs for the site. This installation would serve about 1,600 kids per year. Rebuilding Together of Dallas provides free home repair to those in need and community revitalization to selected priority areas. 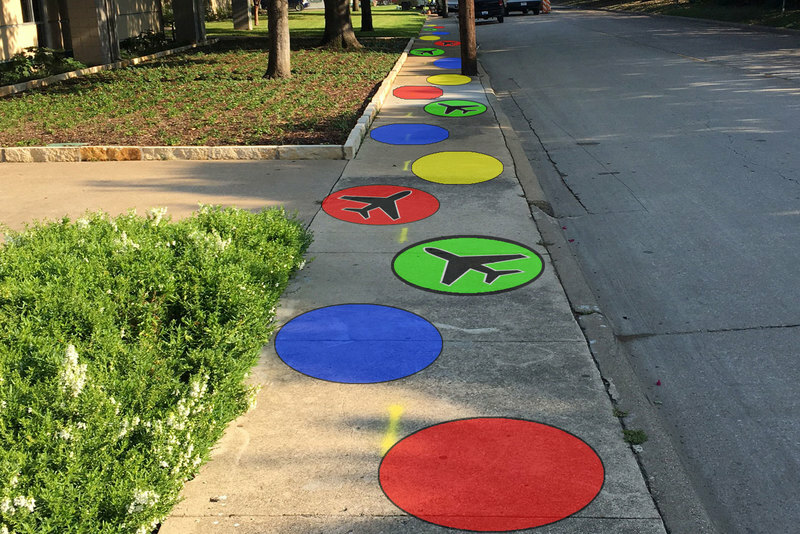 In partnership with the West Dallas Community Center, their project, "Playful Stenciling," will bring a variety of playful asphalt games and activities that get kids moving, having fun and learning in everyday spaces in the community. The first transformation will take place at the Community Center, and later, the stencils will be reused and activated in other spaces across the city that lack play opportunities, serving roughly 1,250 kids each year. Uplift Pinnacle Preparatory Primary creates and sustains public schools that empower students to reach their highest potential in college and the global marketplace and inspire a life-long love of learning, achievement and service. Through their project, "Playing It Old School," they will transform an existing parking lot at their school into an alternate playspace using traditional sidewalk and asphalt games for days in which their playground is unusable, helping to serve 900 kids per year. 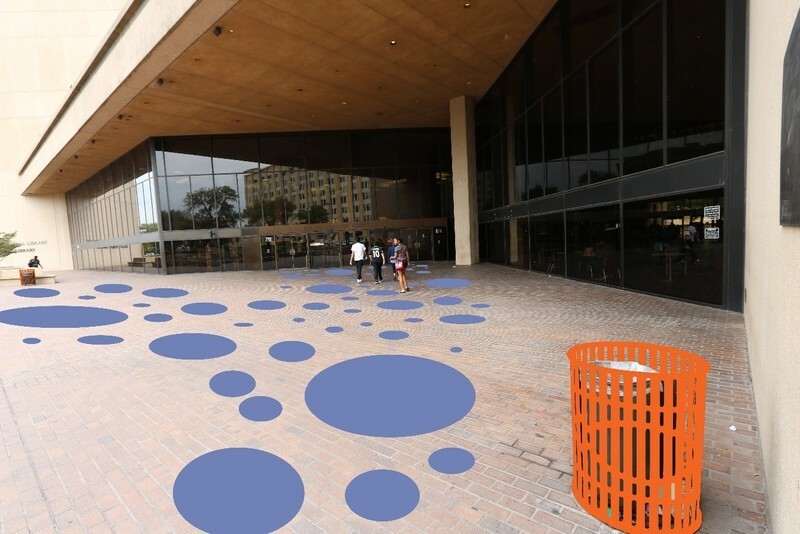 In partnership with the J. Erik Jonsson Central Library in Downtown Dallas, the City of Dallas seeks to transform the entryway of the library plaza into "Plaza Playtime." To create a more welcoming, engaging and delightful place for kids to play and learn, some of the project elements that would be added include painted play paths, sidewalk games and playful trash cans.Once complete, this project would serve over 8,000 children a year. Trinity Basin Preparatory is a free public charter school network of choice that provides a safe, disciplined learning environment designed to meet all individual academic, physical and emotional needs. Currently, the students of the Pafford school campus have no engaging place to play. To change this, "School Parking Lot Play Arena" will transform an underused parking lot area on their campus into a playful multi-purpose space where kids and families can play before, during and after school hours. This new playspace will serve 2,250 kids each year. 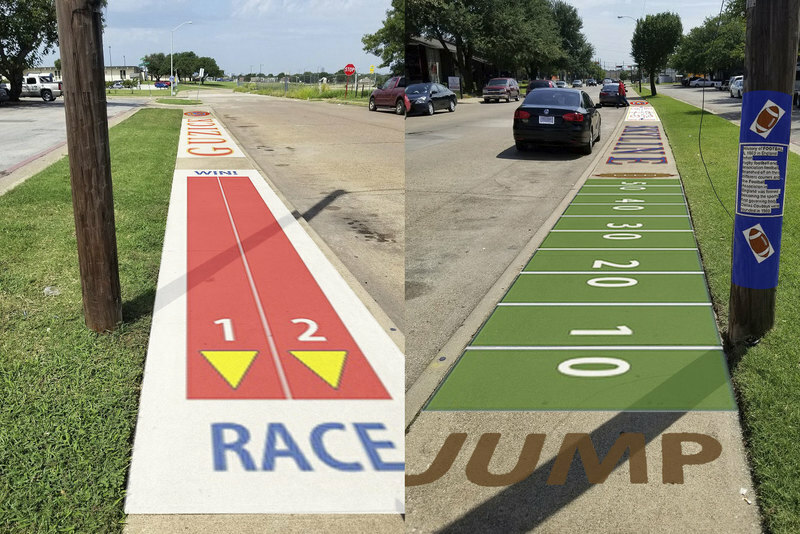 Through the "Buckner Terrace – Sidewalk Sportscape" project, the City of Dallas will transform sidewalks in the Buckner Terrace community near Skyline High School and Guzick Elementary into interactive sports-themed play areas. The installation will help create an environment where students and families can engage with each other on their way to school or other destinations within their community. Once complete, this project will serve more than 4,000 kids annually. 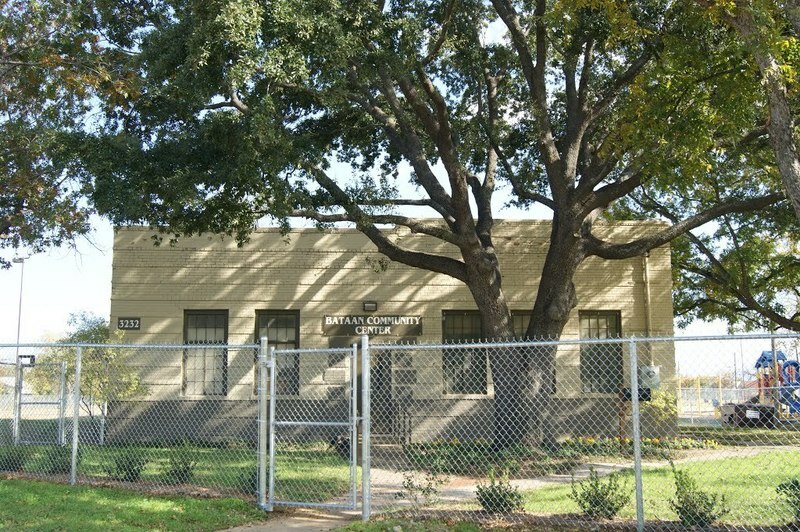 The City of Dallas and West Multipurpose Center is a central gathering place for residents to receive social services and also provides permanent space to many community programs. Their project, "The Multi-Purpose Play Scape," will transform open space and sidewalks around the Center into a fun and interactive place for kids and families to play during their often long wait times. 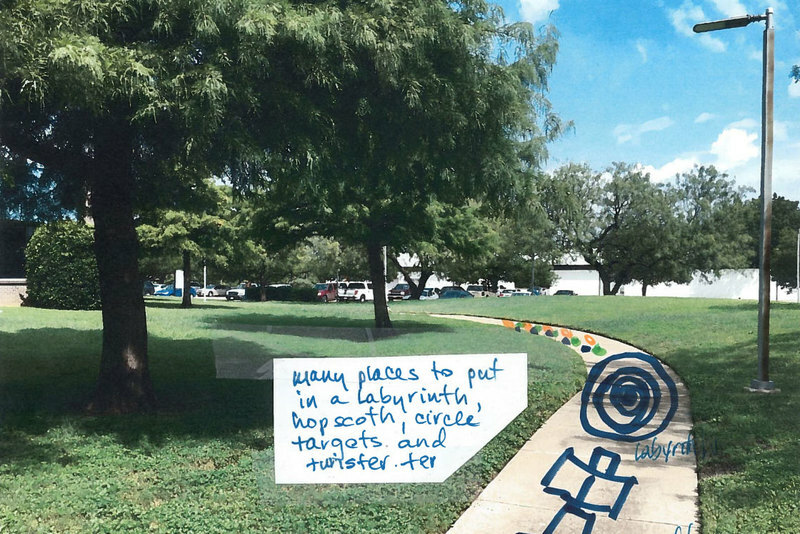 Amenities would include a play set, playful sidewalks and signage with prompts that gets kids’ minds and bodies active, helping serve more than 11,000 kids a year.